Because response to Plane & Pilot’s “$500 Per Month?” article [October 2007] was so overwhelming, we decided to take the idea to the next level. In the aforementioned article, young pilots and seniors alike could see that the dream of flying and owning an airplane was closer to reality than previously thought, and we busted the myth that owning a plane was just a rich-man’s game. For the future of general aviation, everyone should be encouraged to become pilots and airplane owners and have a vested interest in the future of flying. Let’s find our “best of class” $1,000 per month airplane. To get the most flying for the dollar, let’s stick with airplanes that are simple to fly, don’t require a lot of expensive maintenance, aren’t beginning to suffer from age-related “surprises,” aren’t excessively expensive to insure and don’t require specialized training. $1,000 per month can buy a nifty 220 mph twin-engine Aero Commander 680, a Cessna 310, a Beech Baron, a Piper Lance, an older A36 Bonanza or several other very cool airplanes—but you’d have zero left over for gas, insurance and maintenance, so let’s avoid airplanes that are a mechanic’s or gas pump’s best friend. Let’s also compare the type of $1,000-per-month airplane we can own and fly under two different ownership paths: sole ownership and joint ownership. The benefit of sole ownership is that it’s your airplane, always available for you 24/7 and you know who’s been flying it. A joint-ownership arrangement opens up the possibilities to a newer, faster or six-seat airplane by splitting up the largest monthly costs, but one drawback to joint ownership is that you may have to really search for like-minded partners if you’re not in a large, metropolitan area. If our budget is $1,000 per month, the payment will be the biggest regular monthly expense item. At today’s interest rates, each $10,000 financed will be approximately $80 per month, so we can spend $45,000 to $50,000. With a decent down payment, let’s assume we’ll be financing $40,000. This will give us a monthly payment of about $320. The annual will be the next largest amount. All of our choices for sole ownership are fixed gear (except the Mooney, which has a simple and economical manual gear on all pre-1969 models) and have a simple and generally trouble-free 160/180 hp, four-cylinder Lycoming O-320/O-360 engine. There’s nothing particularly complicated about the overall maintenance on any of these airplanes. An annual will reasonably run about $2,500 per year, so we’ll calculate $210 per month for annuals. Also, because things always break, let’s add another $70 per month for rainy-day glitches. Insurance? With a private license, a brief checkout and no accidents, all of these airplanes will run about $130 per month in insurance. Because we’re financing the airplane, insurance will be required by the bank. So far, we’re at $730. What’s next? Let’s fly our plane! Flying expenses (gas, oil, engine reserves) are called “variable expenses” because the amount you spend each month varies with how much you fly. “Fixed expenses” are the costs you spend every month whether you fly or not, like monthly payment, insurance, annuals and storage. Any of our favorites listed here will burn about 8 gph and have an engine TBO of 2,000 hours. A replacement overhauled engine will cost approximately $20,000, so we’ll budget $10 hourly for engine reserve and $40 hourly for gas and oil ($5 per gallon), or $50 hourly in actual flying costs. A private pilot will average 50 hours yearly for recreational flying, or 4.2 hours monthly, so add $210 monthly in gas, oil and engine reserves. Storage will run, on average, about $50 monthly for tiedown, or $200 monthly for a small T-hangar if you can find one. To stay within budget (though a tiedown isn’t as desirable as a hangar, we have our limits), let’s calculate $50 monthly for tiedown. How are we doing? To own and fly a four-seat, modern single, we’re spending $990 per month. So, is it possible? Yes! iFly, a shared ownership program, offers access to a fleet of identical Columbia 350s. By splitting up the largest monthly expenses (payment and annuals), let’s look at what our options are for a newer, bigger, faster and possibly six-seat airplane for $1,000 per month. Cirrus has a factory-sponsored program that links potential partners together to buy a new Cirrus. The other manufacturers don’t formally offer this, but any astute salesman should be able to take the clue and try to get a few interested parties together who might be holding off owning alone. Another possibility is for one potential partner to take the bull by the horns and try to assemble the partners himself, through airport contacts, business contacts, flying buddies, an ad on Craigslist, an aviation forum or in the aviation classifieds of the local Sunday newspaper. It’s a little extra work, but the rewards can be worth it. The idea of a fancy, new or almost-new airplane can be intriguing, so let’s look at exactly what the costs and number of required partners might look like. A factory-new, glass-panel 172SP or 2008 Piper Archer can be purchased and owned with as few as three or four partners at $1,000 per month each. The monthly payment on a factory-new 172SP runs about $2,100, and a new Archer at roughly $1,550. Add to that 4.2 hours per partner per month (gas/oil) at $800 monthly and insurance at about $250 monthly. Because the airplane is new, most maintenance will be covered under warranty, but you’ll still have to perform annual inspections and any airworthiness directives that come out, plus any wear and tear not covered by the warranty. This should run about $300 per month. Since it’s new, we probably don’t want a factory-fresh airplane sitting in the rain, or the Garmin G1000 avionics baking in the sun, so add at least $300 for a small T-hangar in an outlying airport. And in 24 months, your warranty will be gone, and the real monthly maintenance costs will be 100% yours, so we should reserve about $400 per month for “future” maintenance. For budgetary purposes, I think it’s always best to be “overfunded” for a rainy day than to have to suddenly dig deep into your pockets for an unexpected expense. How are we doing? For virtually the same price per month as a used Cessna 172 or Cherokee 180, we’re able to move up to a new, or near-new, nicer, better-equipped airplane if we’re flexible on when and how much we fly. Most jets and turboprops have some sort of formal or informal joint-ownership arrangement because it cuts the fixed monthly costs by 50% per partner. If the joint-ownership terms are thoroughly worked out ahead of time, it can be a great opportunity to get more airplane for your dollar. (Plane & Pilot’s October 2007 issue gives some valuable ideas on successful joint ownership.) Others may still favor sole ownership. A suitable partner may not be available in your area, you may not need the extra capability of a bigger airplane or you may just want around-the-clock access to your airplane. A few weeks ago, I walked into the airport coffee shop at Camarillo (near Santa Barbara, Calif.) and a young pilot was sitting with a group of friends and eagerly showing a picture from his wallet of the plane he had just bought (a nice-looking Cessna 172). He was literally beaming with pride and excitement. A few minutes later, an old-timer at a nearby table opened his wallet and showed the group a very worn black-and-white photo. It was from the 1940s, and this gentleman, almost 60 years younger then, was proudly standing next to his new Taylorcraft on a grass runway. There were nearly four generations of difference in age between the two men, but the sparkle in their eyes was exactly the same when they began talking about their first airplane. Someday, we’ll reach senior status. Will we really care about how much money we had in the bank years earlier? Or, will we lovingly remember being behind the controls of our very own airplane? Every airplane owner will fondly tell you having your own plane pays dividends for the soul far beyond what you can get from a mutual fund. $1,000 per month buys a very decent used cross-country machine that’s all yours. $1,000 per month with partners buys a brand-new airplane with supple leather upholstery and incredible state-of-the-art avionics that Walter Beech or Clyde Cessna could never have imagined. You’ve seen them, you’ve read about them, you know you want one. New or used, with super-easy financing, all-time low interest rates, spectacular avionics packages and only $1,000 a month—what’s keeping you? For more advice, tips and info about owning your own airplane, visit www.planeandpilotmag.com/aircraft/ownership. Buying an airplane has never been easier. Credit is readily available, interest rates are low and terms are favorable. Obviously, a new airplane is different than a 20- or 30-year-old airplane, and there have never been so many options for a buyer on how to buy an airplane. There’s a new airplane, a great loan and an ownership program to fit any pilot’s needs. Fractional Ownership: The fractional idea first surfaced in the 1960s in small, regionalized programs for new corporate airplanes. It really took off in the early 1990s, bringing a whole new group of people into successful private-jet ownership. Following the model of the corporate-jet programs, several successful general aviation fractional-ownership programs have been introduced in recent years. 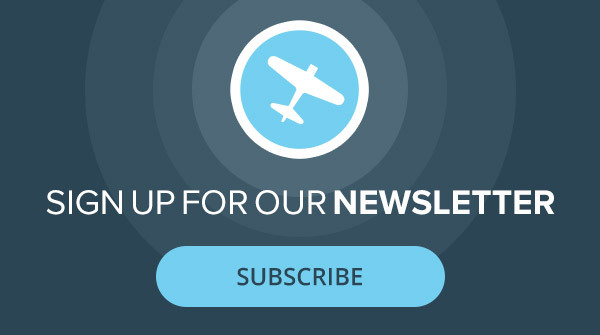 A few of the most popular fractional programs are AirShares Elite, OurPlane and PlaneSmart! In AirShares Elite (www.airshareselite.com) owners hold title to an eighth of a new or near-new Cirrus. Costs run about $51,250, with about $870 per month for management/maintenance fees and a $105 hourly fee. AirShares Elite offers financing for its SR22 ownership shares for about $580 per month, with 15% down (subject to approval of your credit). OurPlane (www.ourplane.com) offers financing on a new Cirrus or Cessna 182. An eighth OurPlane share runs about $55,000 to $80,000 for a brand-new Cirrus or about $44,000 to $70,000 for a new Cessna 182. OurPlane also will be offering fractional shares in the new Eclipse 500 VLJ. And with PlaneSmart! (www.planesmart.com), an eighth share in a new Cirrus SR22-G3 will cost $75,900, with an $897 monthly management fee and an hourly usage fee of $125. The variable cost of each program depends on your location and how many annual hours you sign up for. These programs offer a high level of customer support, scheduling, aircraft handling and all maintenance, insurance and inspection costs. For owners who hate maintenance surprises, dealing with hangar leases, FBOs and all the little details that sole ownership involve, fractional programs effectively streamline the ownership experience and provide a known cost structure for aircraft ownership. Another innovative program is iFly (www.iflysmarter.com), available in Southern California. Its entry costs are the least expensive ($39,900 for five years access to a Columbia 350). The company provides the same concierge approach to aircraft operations and maintenance, but you don’t own anything. It’s more like a gym membership or a country-club social membership. It may be the least expensive way to get guaranteed access to a state-of-the-art, near-new airplane, but you have no residual value after five years. Cirrus Shares: Cirrus Design (www.cirrusdesign.com) offers an innovative alternative to fractional ownership with its “Cirrus Shares” program. This program is ideal for owners who understand and enjoy the day-to-day handling and operation of the airplane. There’s no monthly management fee, but there are none of the concierge services provided by the fractional guys. Maintenance responsibility, hangar fees, scheduling and all other costs are totally up to the partners. Cirrus will finance each share of the airplane and acts more as a “matchmaker” to help introduce prospective owners to each other. Cirrus uses its extensive marketing efforts and databases of prospective buyers to help bring potential partners together. If you’re in an outlying area without a fractional provider, Cirrus’ expertise and broad knowledge can help put together an ownership group in your area for a new SR20 or SR22. Leasing: With general aviation airplanes, leasing has never really caught on. While there are numerous programs to lease corporate jets, most general aviation pilots prefer to actually purchase and receive the favorable tax treatment of owning versus leasing. For some risk-averse individuals, people who don’t want to have their name on the title of an airplane or pilots who only need a specific airplane for a specific period of time, leases can be custom-structured on most general aviation airplanes. The best way to structure a lease is through the selling dealer or FBO. Unlike the automotive world, each general aviation lease customer will have unique expectations of use and maintenance responsibilities, so a “one-lease-fits-all” instrument doesn’t exist. If leasing is the best method of aircraft ownership for you, approach a knowledgeable FBO or dealer and spell out the terms you need. The risk of residual value will be retained by the FBO or dealer, so expect to pay a bit more for the extra work and risk that the dealer takes. The Plane & Pilot Challenge: Do you want a new, state-of-the-art airplane, but not 100% of the costs? Investigate which of the many options are available and which ones fit your budget, your location and your annual flying needs. Can’t find a fractional provider in your area? Be creative. Ask the different fractional services to help you create an ownership group in your town. Or, you can assemble a group of like-minded aviators, assign the duties among members of your group and your FBO, buy a great airplane and start flying. At Plane & Pilot, we’d love to hear about new and innovative methods that are actually working and allow people to experience the joy of owning and flying their very own airplane. Log on to www.planeandpilotmag.com to share your thoughts. Pick a program, or create a group and start flying the airplane of your dreams.